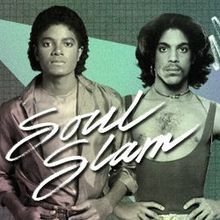 The ultimate PRINCE & MICHAEL JACKSON tribute party, SOUL SLAM, headlined by DJ SPINNA (NYC) returns to the Bay Area for it's 8th installment on Saturday, July 20 2013 at Mezzanine in San Francisco. On Saturday, July 20 2013, Massive Selector, fresco & Keistar Productions present the 8th installment of what’s become a Bay Area summer tradition. 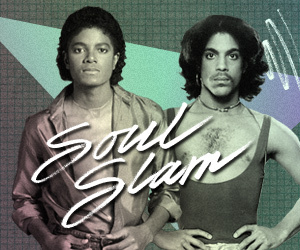 SOUL SLAM SF VIII: PRINCE AND MICHAEL JACKSON returns to MEZZANINE (444 Jessie Street, San Francisco) for the ultimate tribute to pop music’s biggest icons! Since 2005, SOUL SLAM has been the premier event for Prince & MJ fanatics alike in the Bay Area. All the way from Brooklyn, New York, the legendary DJ SPINNA headlines the event where over 1,000 party-goers celebrate the entire Prince & MJ musical universe well past the usual 2am closing time. Local DJ heroes PROOF, HAKOBO, and KING MOST, who'll perform opening deejay sets that will set the mood and build the anticipation for what is sure to be another memorable event. This year SOUL SLAM SF VIII will be hosted by Oakland's own, TOP TEN SOCIAL. Party goers and music lovers alike know that SOUL SLAM is more than just a party... It's an experience!